Xiaomi has introduced a new gesture shortcut to trigger Google Assistant on its smartphones. With the latest MIUI 10.2.1 update, Xiaomi users can now use a new gesture to trigger Google Assistant. This gesture is disabled by default, and the users will have to head to the Settings menu to enable it. To recall, MIUI 9 introduced full-screen navigation gestures and enabling them meant no shortcut to trigger Google Assistant. With the new gesture feature, there is no software button for home that you can long press to trigger the voice assistant. Now, with MIUI 10.2.1 update, the users can enable this new gesture as an alternative for quick access to Google Assistant. For those unaware, the Redmi Note 5 Pro ₹ 11,898 was the first device to start receiving the MIUI 10.2.1 update. The update began rolling out early January, and it should now have arrived on all Redmi Note 5 Pro devices. 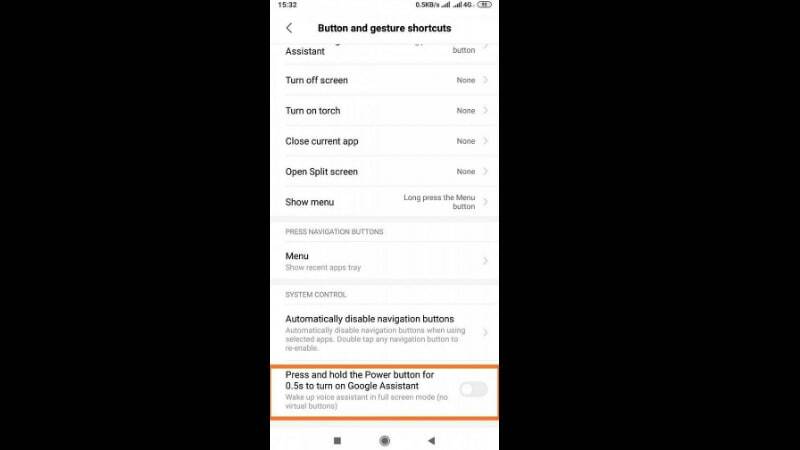 All Redmi Note 5 Pro users are advised to head to the Settings menu and check for the new Google Assistant trigger option.